Hangzhou is one of the cradles of Chinese civilization. It is also one of the seven ancient Chinese capitals, famous for its historical and cultural heritages. The city has a history of more than 2200 years since it was established as a county by the First Emperor Qing. 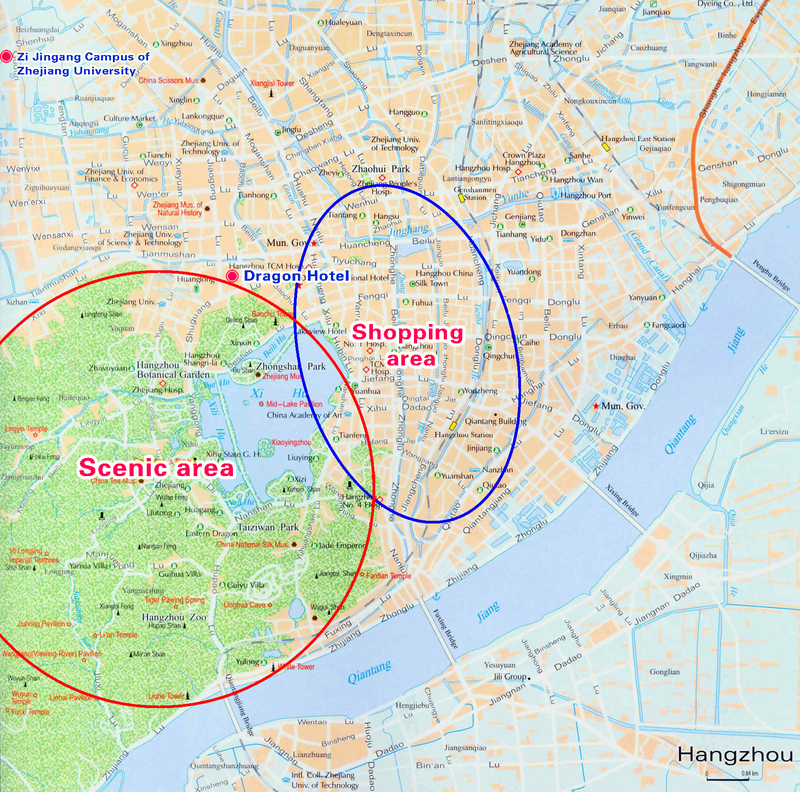 Hangzhou, as the capital of Zhejiang province, is the political, economic and cultural center of Changjiang Delta. Lying on the west edge of Hangzhou city, West Lake is the symbol of Hangzhou as well as one of the most beautiful sights in China. “Hangzhou West Lake Culture Landscape” has been listed in the World Heritage List in 24th June, 2010. A crisscross network of elevated roads and surface road extending in all directions provides convenient city transportations. And taxi, bus and public bicycles can be available everywhere. Dragon Hotel is located on the joint of West Lake and Shopping Center, with 40 min driving distance to Xiaoshan International Airport and 10 min walk distance to West Lake scene. It is conveniently to take a taxi and the starting price is 11 yuan / 3 kilometers. Agricultural Bank of China: 120# Shuguang Road, 10 meters to meeting place. China Bank: 122# Shuguang Road, 50 meters to meeting place. China CITIC Bank: 51-1# Shuguang Road, 200 meters to meeting place. Industrial and Commercial Bank of China: 22# Hangda Road, 200meters to meeting place. Hong Kong and Shang Hai Banking Corporation: 15# Hangda Road, 400 meters to meeting place. Bank of Communications: 45# Hangda Road, 500 meters to meeting place. China Everbright Bank: 41# Shuguang Road, 150 meters to meeting place. Ticket: most of the scenes are free. Distance from meeting place: 6 kilometers. Public transportation: Bus or taxi. Ticket: 260 yuan per seat; VIP 350 yuan per seat. Distance from meeting place: 3.7 kilometers, 15 min by car. Ticket: Feilai Feng scene ticket is 35 yuan, Linying Temple ticket is 30 yuan. Transportation: Walk to Wulin Men, take the bus No K807 to Linying Stage spending almost 50min, walk to Linying Temple after getting off the bus. The Xixi Wetland Park is located in the west of Hangzhou, within 5 kilometers to West Lake. It is the only national wetland in the integration of city wetland, farming wetland and culture wetland. White wooden houses with dark decorations in traditional Chinese style spread out in harmony with the most beautiful of trees. Transportation: take a taxi to Wushan square, meeting-point of touristy, and get on the bus at 7:30 am.